Not to be confused with Transport in London. Transport for London (TfL) is a local government body responsible for the transport system in Greater London, England. 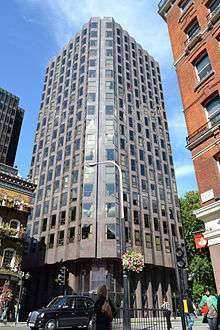 Its head office is in Windsor House in the City of Westminster. TfL has responsibility for London's network of principal road routes, for various rail networks including the London Underground, London Overground, Docklands Light Railway and TfL Rail, for London's trams, buses and taxis, for cycling provision, and for river services. The underlying services are provided by a mixture of wholly owned subsidiary companies (principally London Underground), by private sector franchisees (the remaining rail services, trams and most buses) and by licensees (some buses, taxis and river services). TfL is also responsible, jointly with the national Department for Transport (DfT), for commissioning the construction of the new Crossrail line, and will be responsible for franchising its operation once completed. In 2015-16, TfL had a budget of £11.5 billion, 40% of which comes from fares. The rest comes from government funding (23%), borrowing (20%), other income (9%) and Crossrail funding (8%). On 21 January 2016, it was announced that the responsibility for franchising all of London's inner suburban rail services would be transferred from the DfT to TfL. This transfer will take place as current franchises fall due for renewal, and the DfT will continue to be responsible for franchising outer suburban and intercity services to and from London. This announcement effectively extends the existing franchise arrangements for the London Overground and TfL Rail suburban systems to London's remaining inner suburban lines, and mirrors arrangements for the provision of inner-suburban rail lines in other cities, for example Merseyrail in Liverpool. After the bombings on the underground and bus systems on 7 July 2005, many staff were recognised in the 2006 New Year honours list for the work they did. They helped survivors out, removed bodies, and got the transport system up and running, to get the millions of commuters back out of London at the end of the work day. Those mentioned include Peter Hendy, who was at the time Head of Surface Transport division, and Tim O'Toole, head of the Underground division, who were both awarded CBEs. Others included David Boyce, Station Supervisor, London Underground (MBE); John Boyle, Train Operator, London Underground (MBE); Peter Sanders, Group Station Manager, London Underground (MBE); Alan Dell, Network Liaison Manager, London Buses (MBE) and John Gardner, Events Planning Manager (MBE). On 1 June 2008, the drinking of alcoholic beverages was banned on Tube and London Overground trains, buses, trams, Docklands Light Railway and all stations operated by TfL across London but not those operated by other rail companies. Carrying open containers of alcohol was also banned on public transport operated by TfL. The Mayor of London and TfL announced the ban with the intention of providing a safer and more pleasant experience for passengers. There were "Last Round on the Underground" parties on the night before the ban came into force. Passengers refusing to observe the ban may be refused travel and asked to leave the premises. The Greater London Authority reported in 2011 that assaults on London Underground staff had fallen by 15% since the introduction of the ban. TfL commissioned a survey in 2013 which showed that 15% of women using public transport in London had been the subject of some form of unwanted sexual behaviour but that 90% of incidents were not reported to the police. In an effort to reduce sexual offences and increase reporting, TfL—in conjunction with the British Transport Police, Metropolitan Police Service, and City of London Police—launched Project Guardian. In 2014, Transport for London launched the 100 years of women in transport campaign in partnership with the Department for Transport, Crossrail, Network Rail, Women's Engineering Society and the Women's Transportation Seminar (WTS). The programme is a celebration of the significant role that women have played in transport over the past 100 years, following the centennial anniversary of the First World War, when 100,000 women entered the Transport industry to take on the responsibilities held by men who enlisted for military service. London Trams, responsible for managing London's tram network, by contracting to private sector operators. At present the only tram system is Tramlink in South London, but others are proposed. London River Services, responsible for licensing and coordinating passenger services on the River Thames within London. London Streets, responsible for the management of London's strategic road network. Victoria Coach Station, which owns and operates London's principal terminal for long distance bus and coach services. "Delivery Planning" which promotes cycling in London. "Special Projects Team" manages the contract with Serco for the Santander Cycles scheme. Community Safety, Enforcement and Policing, responsible for tackling fare evasion on buses, delivering policing services that tackle crime and disorder on public transport in cooperation with the Metropolitan Police Service's Transport Operational Command Unit (TOCU) and the British Transport Police. Freight Unit, which has developed the "London Freight Plan" and is involved with setting up and supporting a number of Freight Quality Partnerships covering key areas of London. TfL owns and operates the London Transport Museum in Covent Garden, a museum that conserves and explains London's transport heritage. The museum also has an extensive depot, situated at Acton, that contains material impossible to display at the central London museum, including many additional road vehicles, trains, collections of signs and advertising materials. The depot has several open weekends each year. There are also occasional heritage train runs on the Metropolitan line. TfL has developed an electronic "Journey Planner", which enables users to plan journeys by all forms of public transport and bicycle in and around London. TfL's Surface Transport and Traffic Operations Centre (STTOC) was officially opened by Prince Andrew, Duke of York in November 2009. The centre monitors and coordinates official responses to traffic congestion, incidents and major events in London. London Buses Command and Control Centre (CentreComm), London Streets Traffic Control Centre (LSTCC) and the Metropolitan Police Traffic Operation Control Centre (MetroComm) were brought together under STTOC. STTOC played an important part in the security and smooth running of the 2012 Summer Olympics. The London Underground Network Operations Centre is now located on the fifth floor of Palestra and not within STTOC. The centre featured in the 2013 BBC Two documentary series The Route Masters: Running London's Roads. Transport for London introduced the "Connect" project for radio communications during the 2000s, to improve radio connections for London Underground staff and the emergency services. The system replaced various separate radio systems for each tube line, and was funded under a private finance initiative. The supply contract was signed in November 1999 with Motorola as the radio provider alongside Thales. Citylink's shareholders are Thales Group (33 per cent), Fluor Corporation (18%), Motorola (10%), Laing Investment (19.5%) and HSBC (19.5%). The cost of the design, build and maintain contract was £2 billion over twenty years. A key reasoning for the introduction of the system was in light of the King's Cross fire disaster, where efforts by the emergency services were hampered by a lack of radio coverage below ground. Work was due to be completed by the end of 2002, although suffered delays due to the necessity of installing the required equipment on an ageing railway infrastructure with no disruption to the operational railway. On 5 June 2006 the London Assembly published the 7 July Review Committee report, which urged TfL to speed up implementation of the Connect system. The 2010 TfL investment programme included the project "LU-PJ231 LU-managed Connect communications", which provided Connect with a new transmission and radio system comprising 290 cell sites with two to three base stations, 1,400 new train mobiles, 7,500 new telephone links and 180 CCTV links. Contactless Visa, Maestro, MasterCard and American Express Debit and Credit cards issued in the UK are accepted for travel on London Underground, London Overground, Docklands Light Rail, most National Rail, London Tramlink and Bus services. This works in the same way for the passenger as an Oyster Card, including the use of capping and reduced fares compared to paper tickets. Each of the main transport units has its own corporate identity, formed by differently coloured versions of the standard roundel logo and adding appropriate lettering across the horizontal bar. The roundel rendered in blue without any lettering represents TfL as a whole (see Transport for London logo), as well as used in situations where lettering on the roundel is not possible (such as bus receipts, where a logo is a blank roundel with the name "London Buses" to the right). The same range of colours is also used extensively in publicity and on the TfL website. Transport for London has always mounted advertising campaigns to encourage use of the Underground. For example, in 1999, they commissioned artist Stephen Whatley to paint an interior - 'The Grand Staircase' – which he did on location inside Buckingham Palace. This painting was reproduced on posters and displayed all over the London Underground. In 2010 they commissioned artist Mark Wallinger to assist them in celebrating the 150th anniversary of the Underground, by creating the Labyrinth Project, with one painting to hang permanently in each of the Tube's 270 stations. In 2015, in partnership with the London Transport Museum and sponsored by Exterion Media, TfL launched Transported by Design, a 18 months programme of activities. The intention is to showcase the importance of both physical and service design across London's transport network. In October 2015, after two months of public voting, the black cab topped the list of the favourite London transport icons, which also included the original Routemaster bus and the Tube map, among others. In 2016, the programme is holding exhibitions, walks and a festival at Regent Street on 3 July. 1 2 "Company information". Transport for London. 2013. Retrieved 10 August 2013. ↑ "Our role". Transport for London. Retrieved 29 January 2016. ↑ "A new approach to rail passenger services in London and the south east" (PDF). Department for Transport and Transport for London. January 2016. Retrieved 29 January 2016. ↑ "Legislative framework". Transport for London. Retrieved 6 September 2008. 1 2 3 4 5 Alan Hamilton (16 February 2006). "It was all just part of the job, say honoured 7/7 heroes". The Times. Retrieved 22 May 2011. 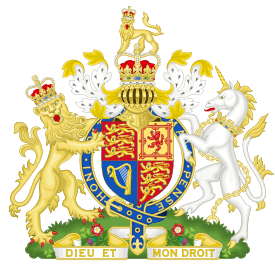 ↑ "Queen hails brave 7 July workers". BBC News. 15 February 2006. Retrieved 22 May 2011. 1 2 "Two TfL July 7 heroes honoured in New Years List". Transport for London. 2 January 2007. Retrieved 22 May 2011. ↑ "Revellers' farewell to Tube alcohol". Metro. 1 June 2008. Retrieved 10 August 2013. ↑ "Johnson bans drink on transport". BBC News. 7 May 2008. Retrieved 6 September 2008. ↑ "Londoners continue to back Mayor's booze ban". Greater London Authority. 5 May 2011. Retrieved 10 August 2013. ↑ Bates, Laura (1 October 2013). "Project Guardian: making public transport safer for women". The Guardian. Retrieved 17 September 2014. ↑ "Board members". Transport for London. 2013. Retrieved 10 August 2013. ↑ "Freight". Transport for London. Retrieved 6 September 2008. ↑ "Journey Planner". Transport for London. Retrieved 6 September 2008. ↑ "HRH The Duke of York opens state of the art transport control centre". Archived from the original on 24 June 2013. Retrieved 24 June 2013. ↑ "Duke of York opens TfL control centre at Palestra in Blackfriars Road". Archived from the original on 24 June 2013. Retrieved 24 June 2013. 1 2 3 "Evidence for Transport Committee's investigation into 2012 transport". Archived from the original (PDF) on 24 June 2013. Retrieved 24 June 2013. ↑ "Transport for London Board Agenda Item 5, 2 November 2011". Archived from the original (PDF) on 24 June 2013. Retrieved 24 June 2013. ↑ "Southwark chosen for LUL command and control centre". Archived from the original on 24 June 2013. Retrieved 24 June 2013. 1 2 "TfL keeps schtum on underground radio plans". The Register. 6 June 2006. Retrieved 19 June 2014. 1 2 "TfL investment programme - London Underground" (PDF). Transport for London. 2010. p. 10. Retrieved 19 June 2014. ↑ "Response from the Chief Engineers' Directorate of London Underground to the OFCOM Consultative Document "Spectrum Trading Consultation"" (PDF). Ofcom. November 2003. p. 10. Retrieved 19 June 2014. ↑ Mortimer, Natalie (20 July 2015). "TfL proves most popular retailer on Apple Pay UK following launch". The Drum. Retrieved 22 July 2015. ↑ Titcomb, James (20 July 2015). "How London's transport crunch forged a contactless revolution". The Telegraph. Retrieved 22 July 2015. ↑ Gibbs, Samuel (16 July 2015). "TfL cautions users over pitfalls of Apple Pay". The Guardian. Retrieved 22 July 2015. ↑ "Apple Pay". Transport for London. Retrieved 22 July 2015. ↑ Mark Brown (7 February 2013). "Tube celebrates 150th birthday with labyrinth art project". The Guardian. Retrieved 7 February 2013. Wikimedia Commons has media related to Transport for London.